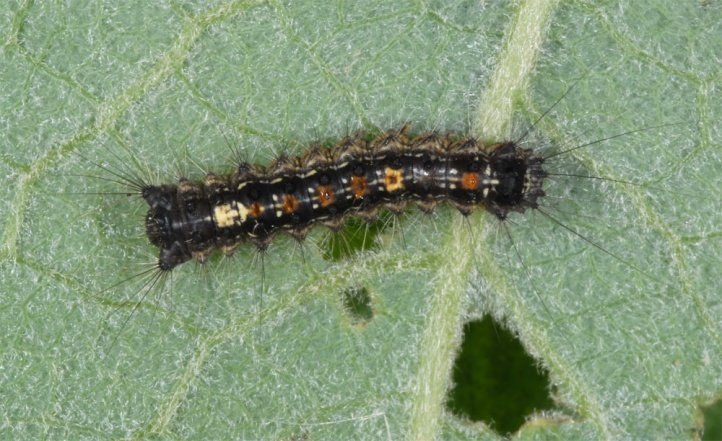 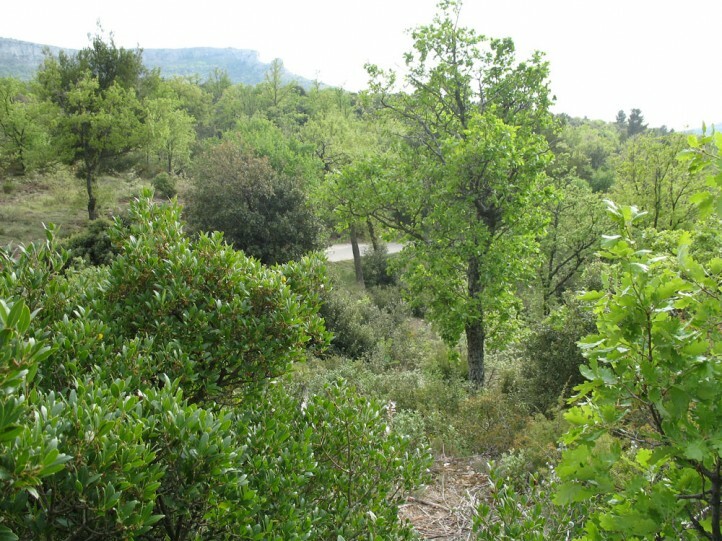 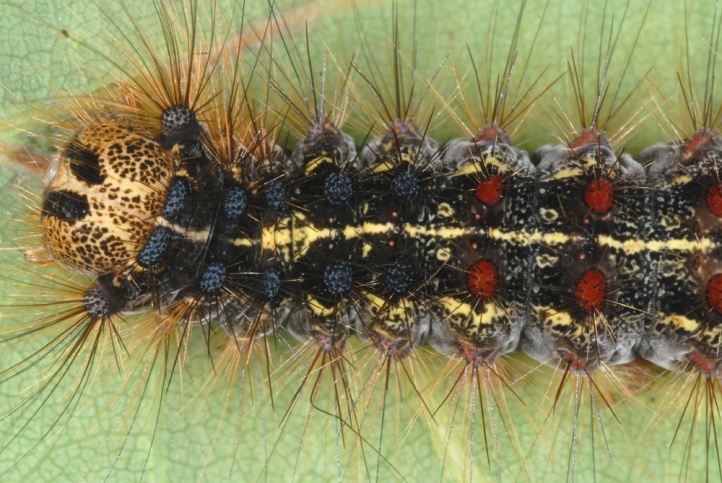 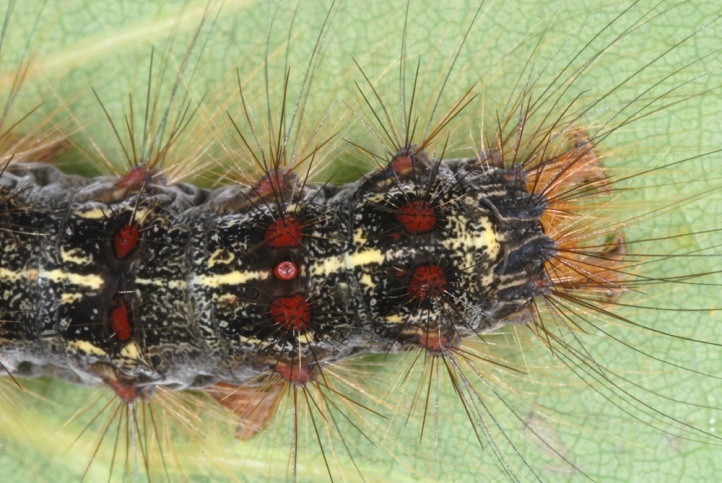 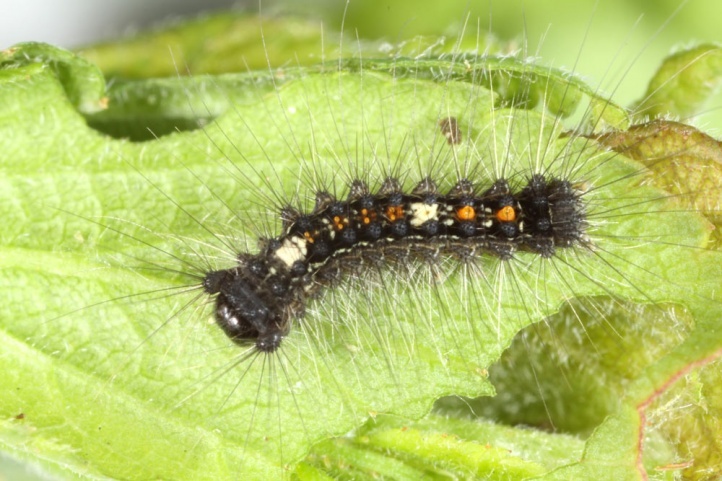 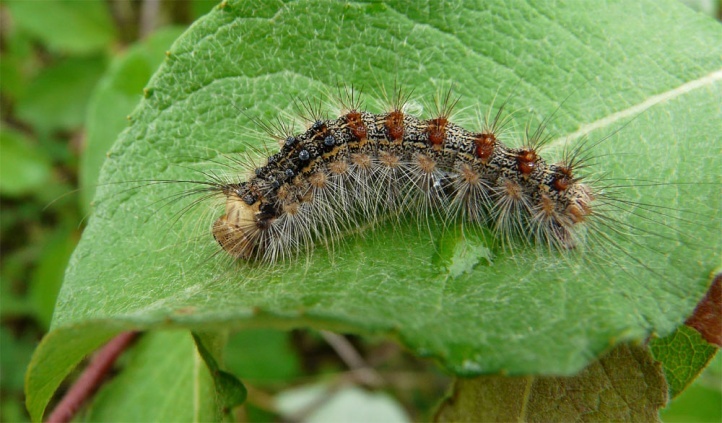 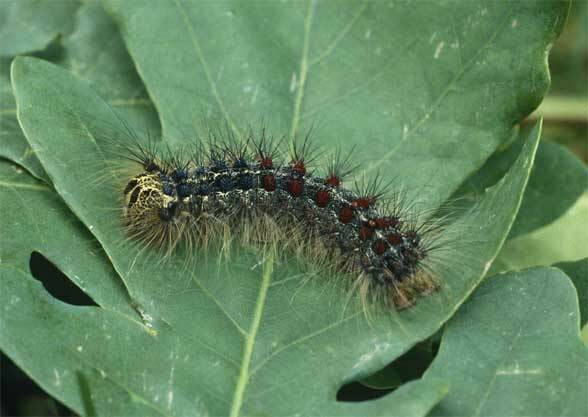 The larvae consume many deciduous trees like oaks in particular, but also willow (Salix), aspen (Populus), or lime (Tilia), but not ash (Fraxinus). 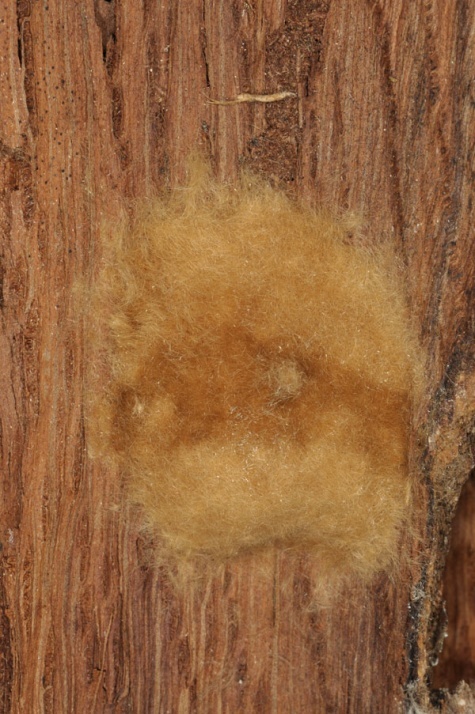 It is rarely also found on conifers (in gradations). 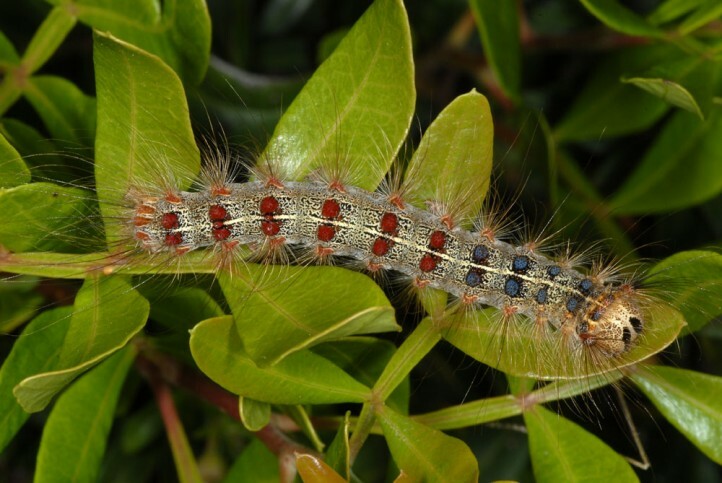 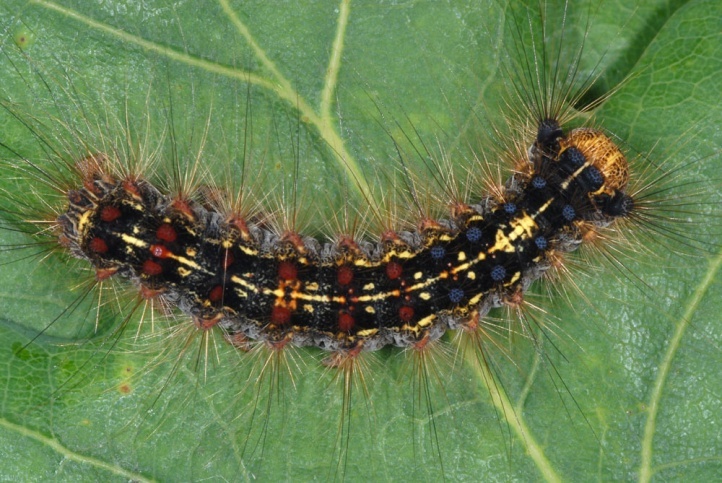 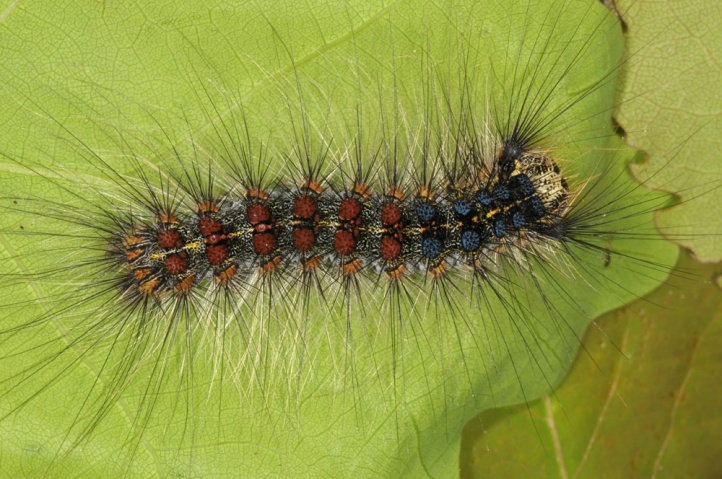 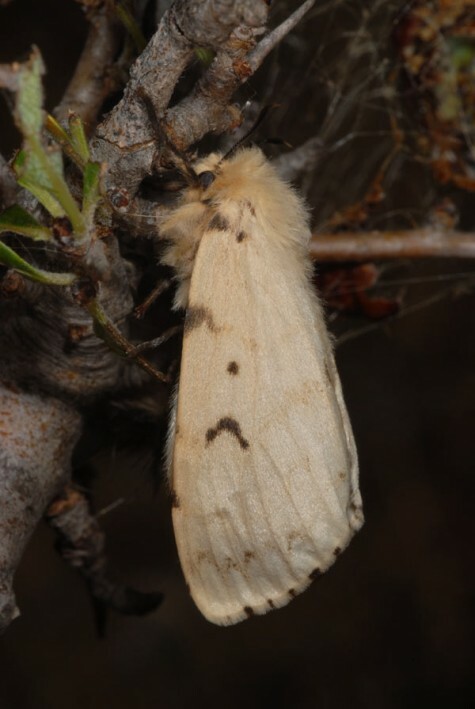 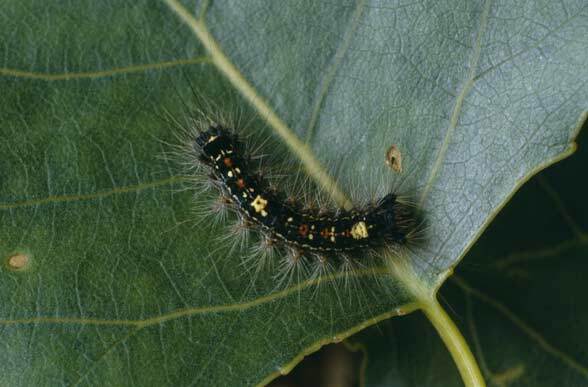 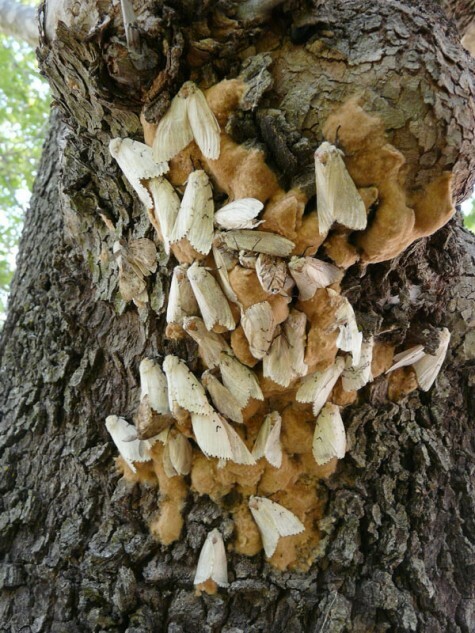 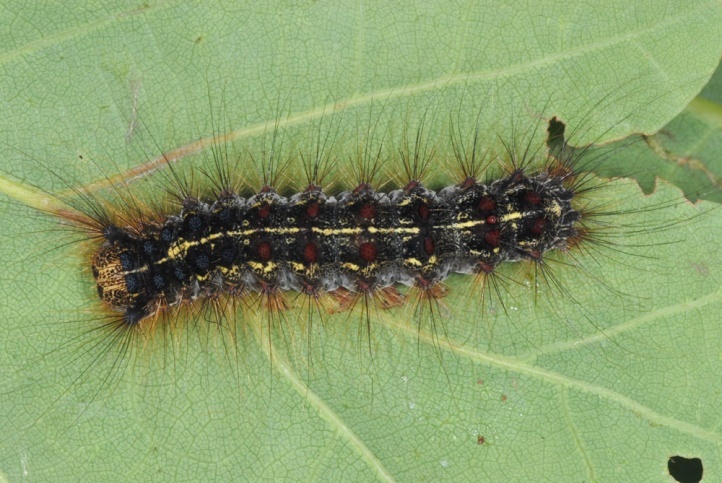 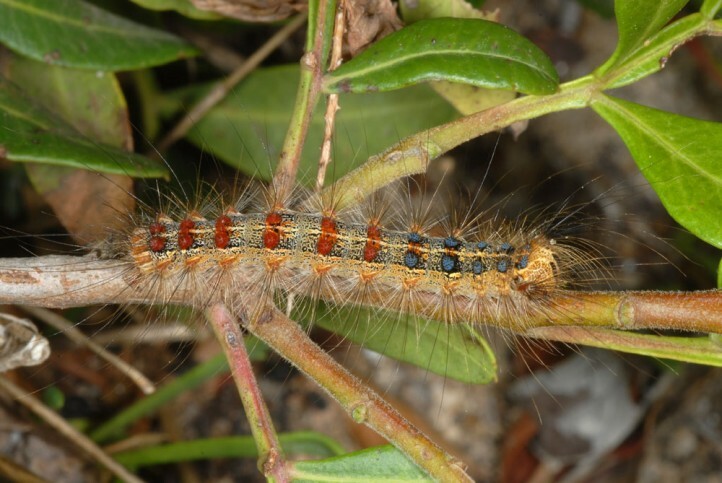 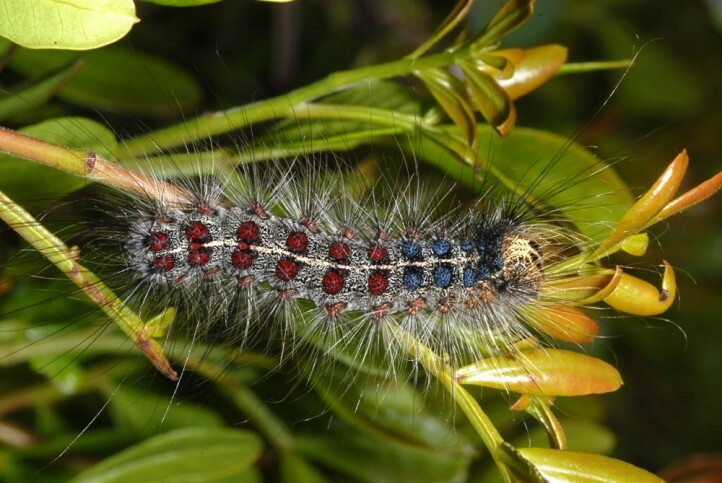 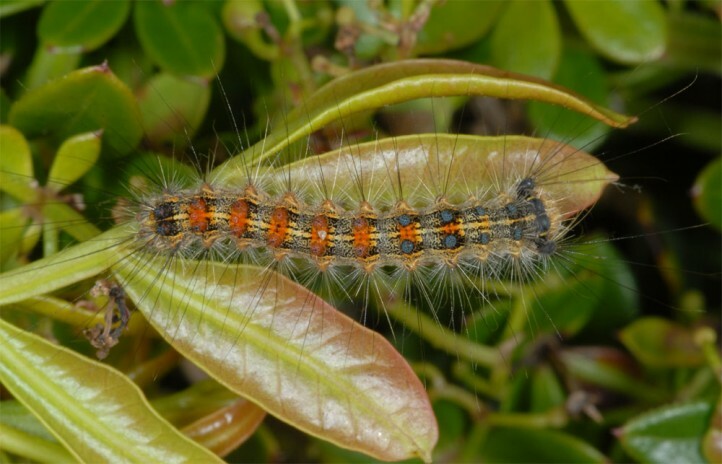 Lymantria dispar inhabits warm forests in the lowlands, particularly oak or coppice forests. 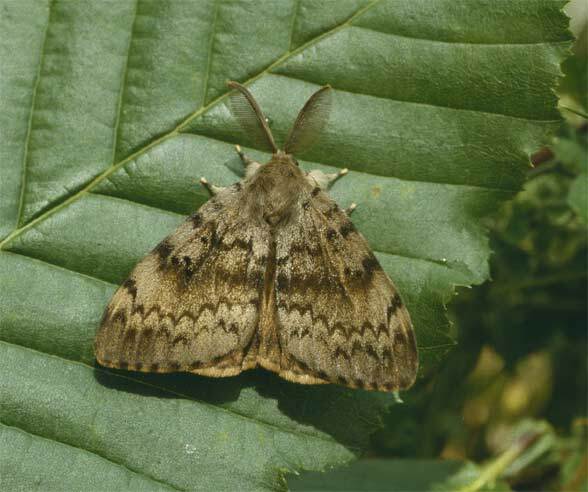 The moth is usually missing north of the Alps in cooler mountainous regions such as the Swabian Jura (only local in the east) and the Alps. 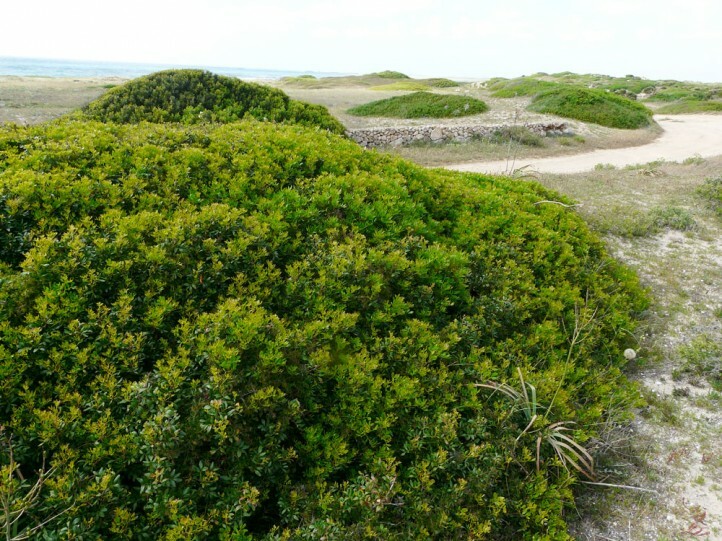 I met a very abundant population on Pistacia in coastal dunes of Sardinia (Sinis peninsula) - far away from woodlands! 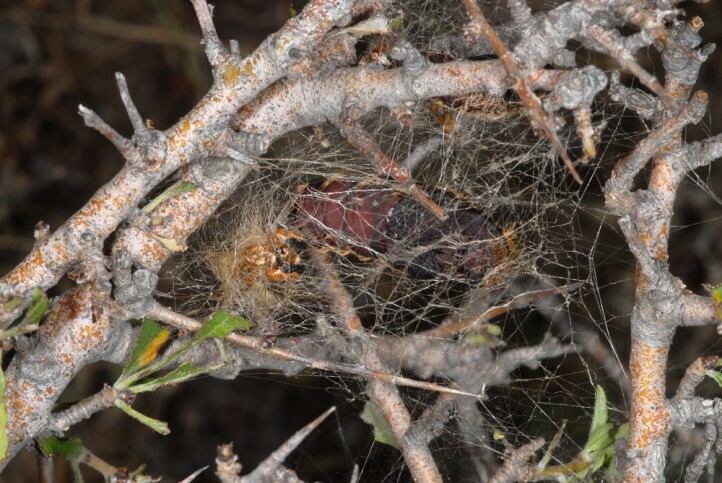 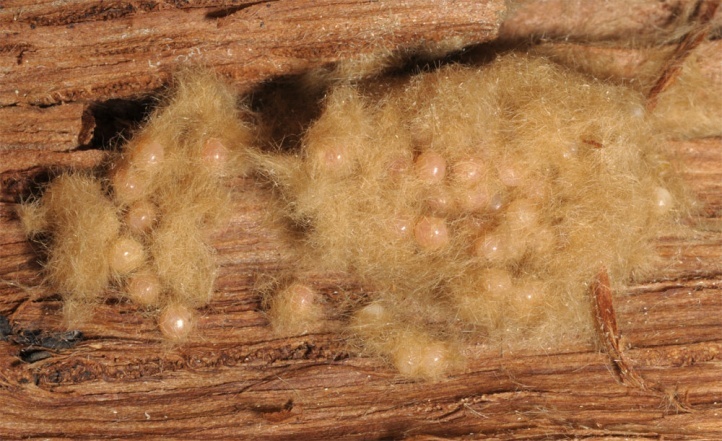 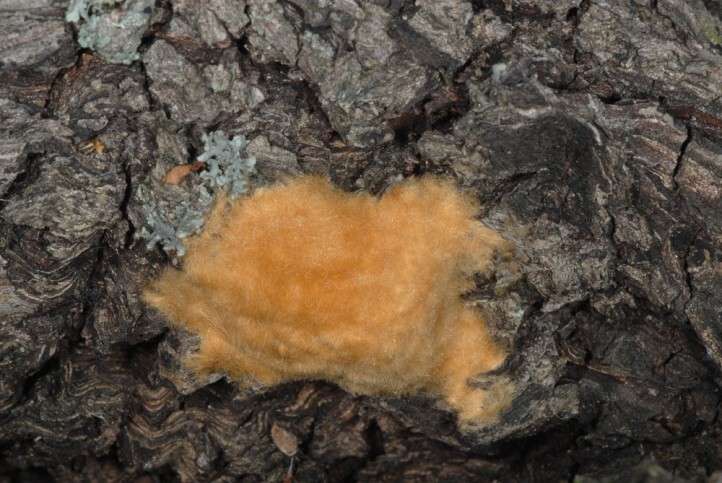 The eggs hibernate in clusters covered with the female wool on the bark. 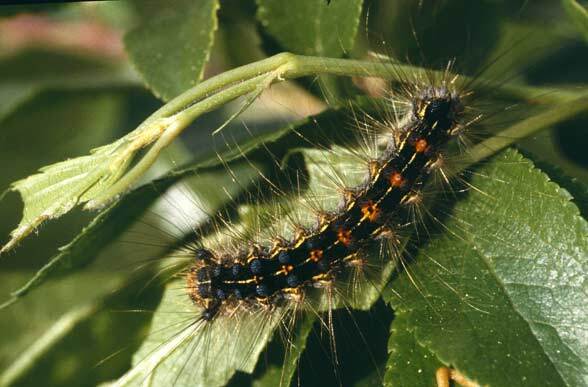 The larvae are observed especially between late April and late June, in periods of gradations also in July. 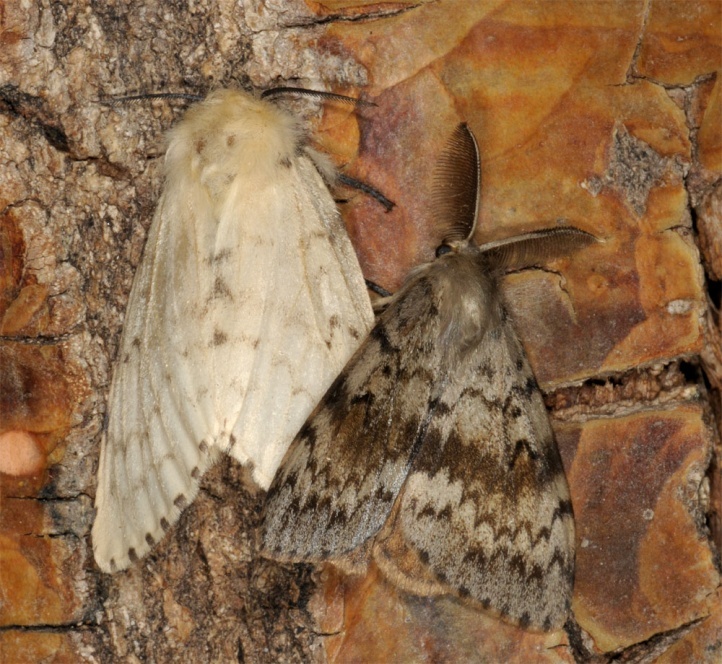 The moths appear in July and August (until early September). 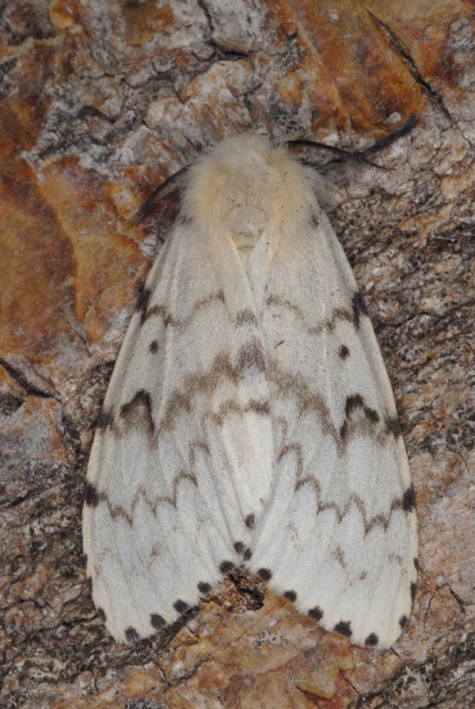 Lymantria dispar is not endangered. 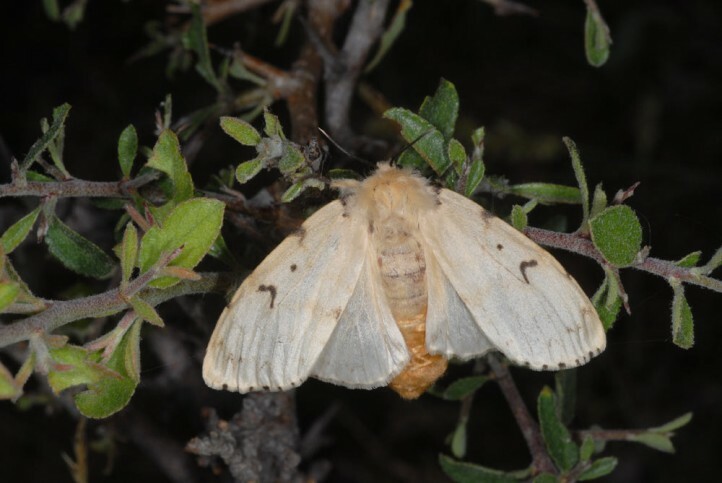 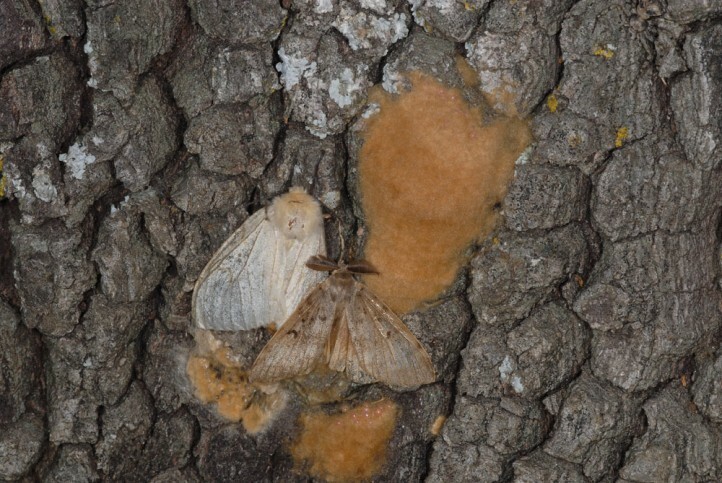 The moth is prone to outbreaks in warm years, but these collapse after a few years from diseases and parasitoids again and do never justify spraying chemicals such as moulting inhibitors (e.g. 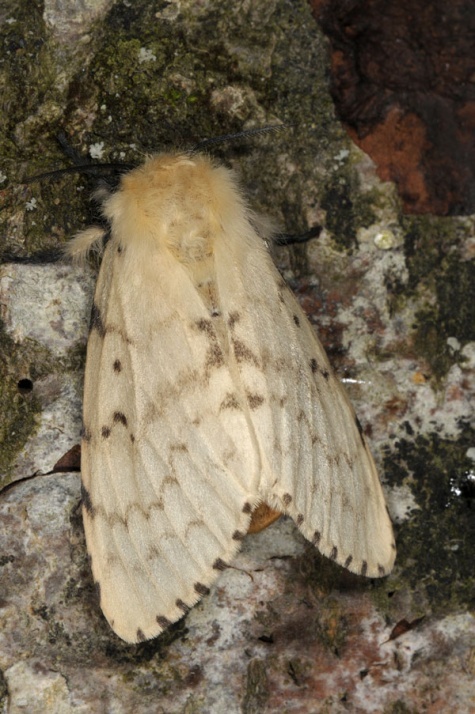 Dimilin) in the mostly species-rich habitats. 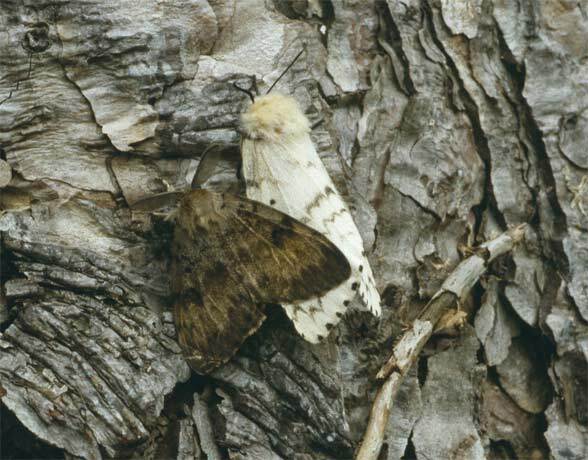 A discussion of this is found in about Weidemann & Köhler (1996, in German). 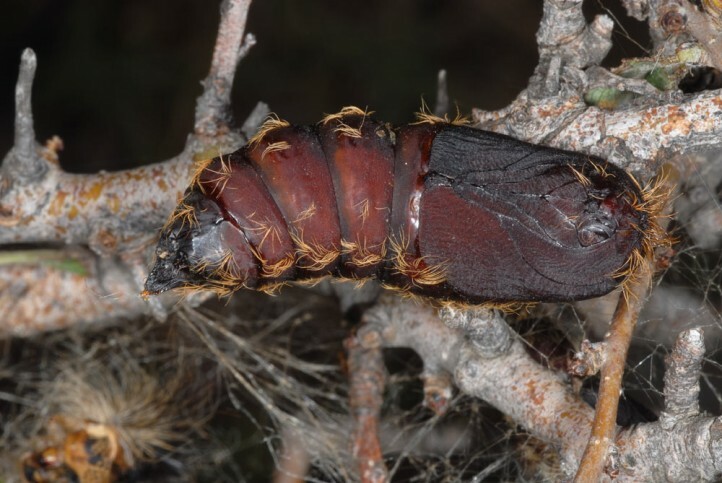 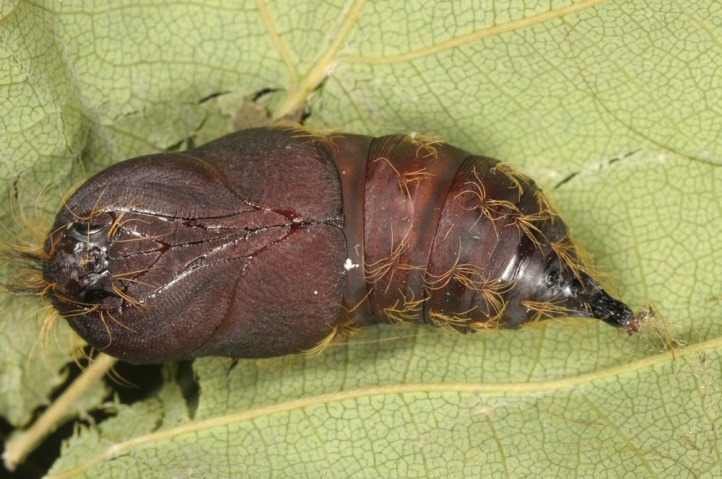 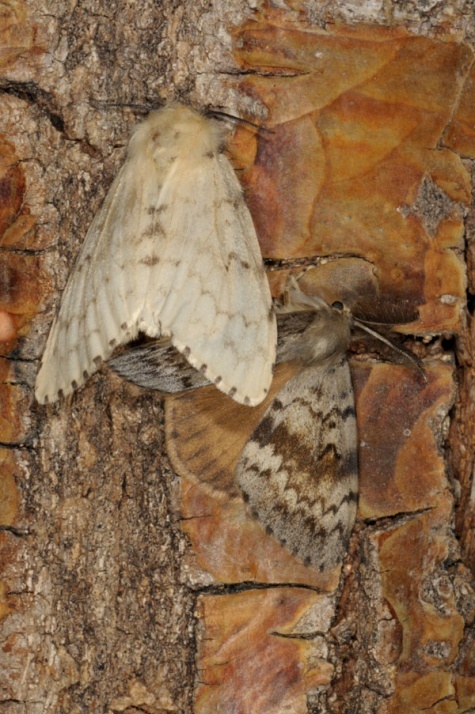 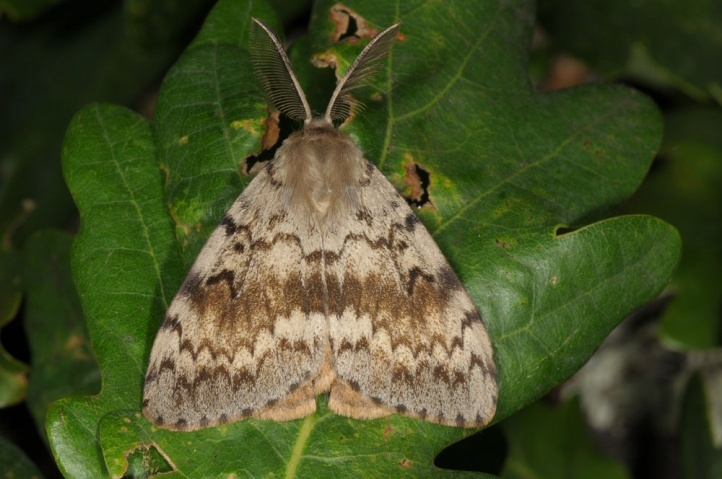 Lymantria dispar is distributed from North Africa across Europe and Asia to Japan. 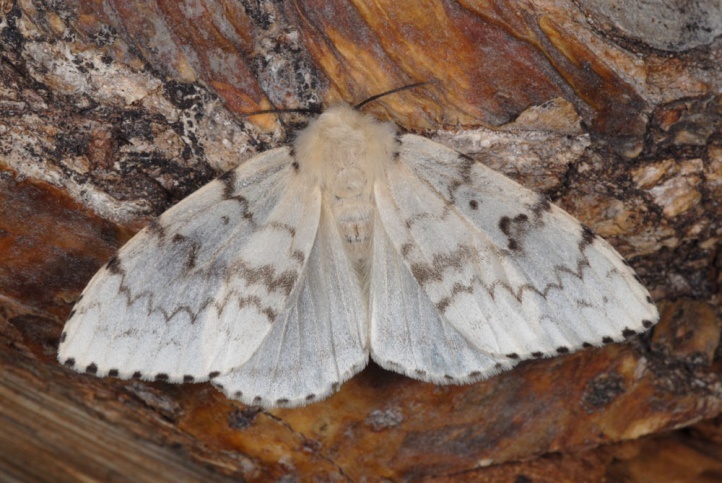 In Europe, the moth is absent almost only in the higher elevations and in the polar north (goes as far north as Southern Scandinavia). 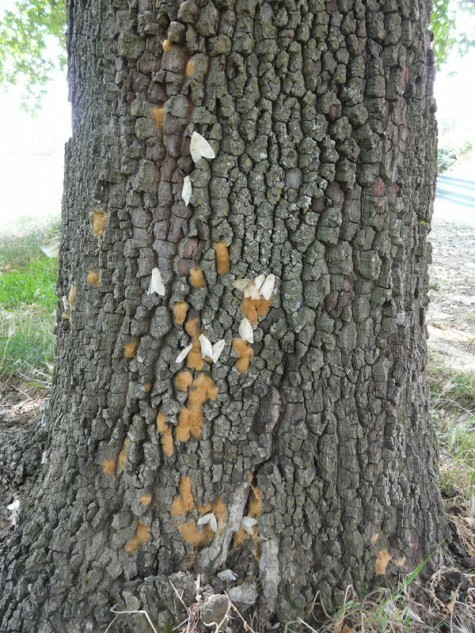 In Germany there can be observed a spread into previously not populated areas in the last years, probably due to global warming. 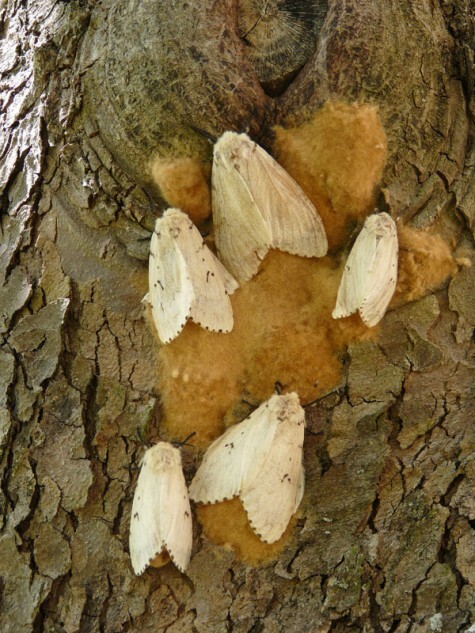 So I found Lymantria dispar in 2010 for the first time in the district of Heidenheim on the eastern Swabian Alb.